Your phone’s dialer is more than just a dialer and it has been so even before smartphones were a thing. Our phones have had secret dialer codes since forever. These codes let you access hidden settings and information, which a normal user probably won’t need or understand what to do with. Hence, they’re hidden. This little trick has carried over onto Android smartphones as well. Different OEMs bake in different codes to access different things. 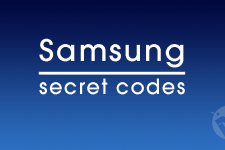 Therefore, there isn’t a universal list of codes that work with every Android phone out there. 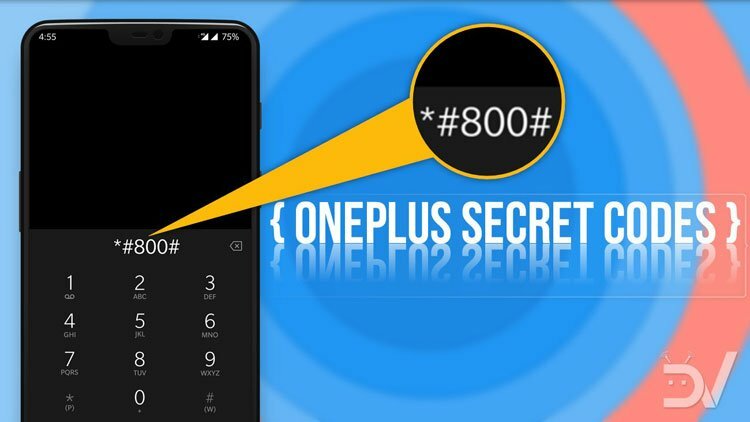 We are going to talking about the OnePlus secret dialer codes today though. So as long as you have a OnePlus 6/5T/5 you can be sure these codes will work from your device’s dialer, or at least they should. In your phone’s dialer app, enter *#1234# to display your device’s software version or enter *#6776# to open the Software version page. 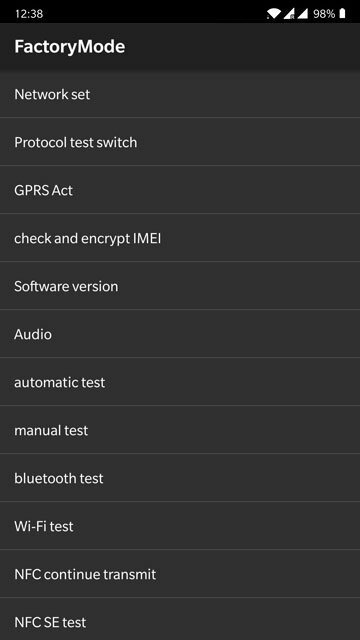 This is the same page that you can also access by going to Settings> System> About phone. The code simply saves some extra steps. You can also access other software and hardware details and version numbers such as Qualcomm settings, touchscreen version, etc. The codes for these are listed below. Must read: Make Your Android Device Look Amazing with Swift Installer! An IMEI number is a unique 15 digit code assigned to every mobile phone ever manufactured. Known as International Mobile Equipment Identity, it is basically a fingerprint of your mobile device. IMEI number is really important in case you’ve lost your phone as want to render it useless for calling and texting. Officials can also trace the phone using the number. It’s also important in less serious situations such as when you want to exchange your phone for a new one. You can check your IMEI number in the About phone page but you can also save several steps and enter either of the following codes in the dialer. The above codes are also quite easy to remember which is a plus. The Engineering Mode on OnePlus devices made headlines once as serious security concerns grew around the company’s preservation of this mode. Claims were made that this could potentially allow hackers to gain root access to its handsets. OnePlus defended the decision noting that USB Debugging and the need for ADB commands were enough as fail-safes to prevent anyone from gaining root access remotely. 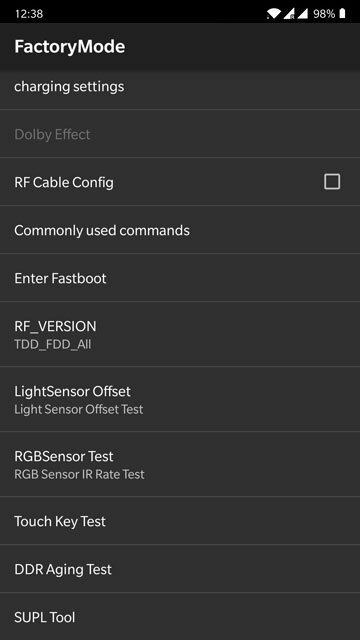 OnePlus Engineering Mode itself is a diagnostic tool that is used to ensure software components work as they should during the production. This mode can also be used by the after-sales support to troubleshoot your OnePlus device. Engineering mode can be accessed by entering *#36446337# in the dialer. This takes you to a FactoryMode page which has various tests and settings that you can access. For instance, you can access fastboot mode from here directly, without rebooting your device. You can also tap All clear to wipe everything on your device. 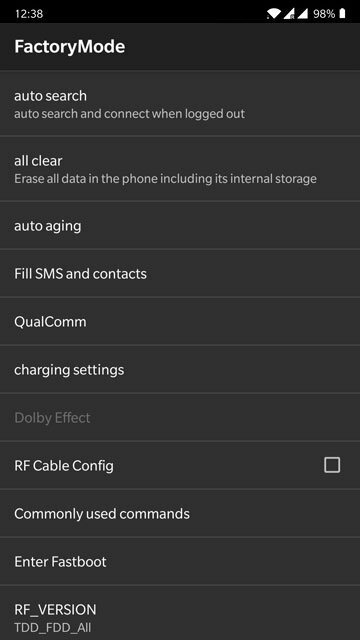 You can instantly wipe all data on your OnePlus 6 and restore it to factory settings in case things aren’t working the way they should. 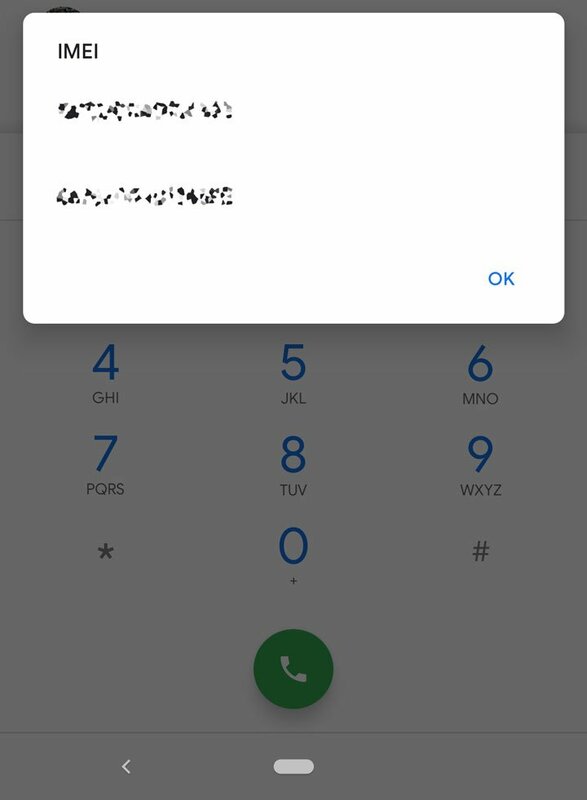 Fortunately, you don’t have to necessarily wipe your entire data because OnePlus lets you put in different dialer codes depending on how much information you want to preserve. As an example, if you enter *#*#7780#*#* in the dialer, it will delete your Google account and uninstall all your apps and their data but keep all your photos and files safe. Basically, it will clear all user data except files and folders on the internal storage. You must be careful before you use these codes though. Because something like *#*#947322243#*#* will wipe everything on your phone in an instant and there’s nothing you can do about it once initiated. Whereas *#8778# or *#7780# can be canceled by hitting the back button. Enter the code in the dialer, select Enter> OnePlus Logkit and then scroll down to Function Switch. Check VoLTE and VoWiFi switch and then reboot your device. While this will enable VoLTE support on your OnePlus 6, you still need a career that supports VoLTE, the right APN, and NV-Settings. Read next: Does Lowering the Screen Resolution Increase Battery Life?